IVR is known as “Interactive Voice Response.” is a telephony technology system that can read and used a combination of touch tone and voice input to give users the ability to access a database of information via phone when they call in. A standard IVR system usually has several menus of pre-recorded automated voice options that allow the caller to choose from according to their enquires. Callers will either choose a number or speak detailed information such as their name, ID or account number to continue the process. This input by the callers will be read and interpreted by the IVR system to be used to access the appropriate information in the database or transfer to the helpdesk officers to assist the user. A good example is the call centre in the Telco company that have an IVR system to allow their subscribers to call in and check their bill accounts, re-contract of their mobile plans and other related issues. The IVR technology can be used for other purposes such as phone surveys for quality assurance, checking for account balance or outstanding charges and call centre forwarding. Since the caller can verbally respond to pre-recorded voice messages, using the IVR system is almost similar to talking to the helpdesk officer via the phone as long as the caller choose the correct options for their enquires. As part of the IVR system, the IVR software is part of the tools that are essential to run the call centre operation. Since IVR is a technology that will control and automates interactions between the callers and the helpdesk officers. IVR software helps to deal with the certain percentage of the incoming callers to allow the agents ample time to handle complex queries during the operation. The aim of the IVR System is to help the company to run the call centre operation in a more efficient and cost-friendly manner. Without the IVR software, the call centres will have difficulty to handle the huge volume of incoming calls on the daily basis. Thus using the IVR software will assist the call centre to handle simple issues for their customers such as account information, application status, feedbacks, production information and so on. Not only has the automated phone system saved time for the callers and the helpdesk agents. An efficient IVR software also helps the companies to save on their operational cost as technology will reduce the use of hardware, network infrastructure and hardware significantly. In long-term will allow the agents to spend quality time to interact with their customers and improve the service standard of the company in the long run. In Singapore, there are more and companies adopting the new cloud technology for their call centre’s operation instead of the on-site premise call centre. The main benefit is that companies can use a third party vendor to provide all the necessary support to run the operation. One of the well-known company to provide such service is call Converged Solutions. This is a technology company that develops and deliver unified communication application to their clients since 2008 which they develop the All-Touch Cloud-Based Call Centre software which is not only cost-effective and efficient. 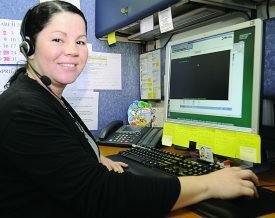 Although there are many ways to buy the IVR software in Singapore or overseas, it is much safer to engage the professional services of the service provider such as Converged Solutions as they have the experience and expertise to help their clients to set up the call centre operation and provide the necessary support.